This latest acquisition represents an important milestone in a decade-long process to acquire and conserve key habitat for the Peninsular bighorn sheep and scenic open space at the entryway to Palm Springs. Often referred to as Chino Cone, the property lies to the north of Tramway Road and includes both the upper portion of the Canyon and the lower portion which is contiguous to the approximately 210 acres purchased by Friends in 2012, known as Angel Cove and Ship Rock. The land was conserved with the support of various funding sources. The US Fish and Wildlife Service provided federal funding authorized by section 6 of the federal Endangered Species Act, enabling the California Department of Fish and Wildlife to fund the acquisition of habitat for threatened and endangered species that live in Chino Canyon. "The acquisition of these lands reflects the value of partnerships in helping a variety of species, including the endangered Peninsular bighorn sheep, sustain themselves into the future," said Mendel Stewart, Supervisor of the Carlsbad Fish and Wildlife Office. "We look forward to working with Friends of Palm Springs Mountains and our State partners on other important desert conservation projects." 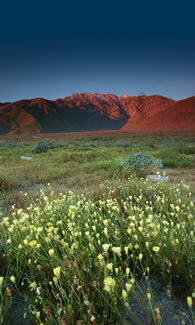 State funding from Proposition 84, the 2006 Safe Drinking Water, Water Quality and Supply, Flood Control, River and Coastal Protection Bond Act, was awarded by the State Wildlife Conservation Board (WCB) and the Coachella Valley Mountains Conservancy (CVMC). WCB was created by legislation in 1947 to administer a capital outlay program for wildlife conservation and related public recreation. 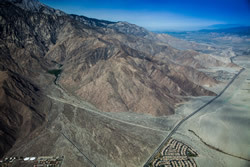 CVMC is a state agency whose mission is the acquisition and preservation of open space and mountainous lands in and surrounding the Coachella Valley. CVMC, governed by a board of local and state officials, has acquired or provided funds to purchase more than 81,000 acres for conservation since 1991, and has also provided 100% of the funding for Friends’ acquisition of the 210 acre Angel Cove and Ship Rock using Proposition 84 funds. 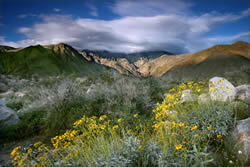 Chino Canyon has significant aesthetic value with its extraordinary topography, and contains a critical Peninsular bighorn sheep wildlife corridor. 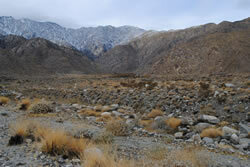 The fragile alluvial fan and the mountains of the area are rich in biodiversity, and sustain a variety of priceless wildlife, plant species, and ecosystems that provide opportunities for education, recreation, and interaction with an irreplaceable and highly unique natural and cultural resource. Native Americans have lived in the region, utilizing the different environments found in the area, for thousands of years. McLaughlin states, “Friends would like to sincerely thank the community of Palm Springs for their longstanding support in our effort to preserve this area and we are gratified that there are many people who continue to share our passion for preserving this area and will assist to complete our journey”. Over the last several years Friends has been working diligently to preserve the Chino Canyon and we are now at the point of bringing this crucial area to a close, but cannot complete the transaction without your help. The majority of the funds to acquire the lands have now been secured from various resources with the exception of the last $480,000, which we need to provide to the seller by June of this year. Please consider donating towards the final goal. Voices of the Canyon, a documentary film co-produced by Friends of Palm Springs Mountains and Juniper Tree Productions recently premiered as an official entry in the Palm Springs International Festival of Short Films. Filmed and edited by Rob Taylor, Voices of the Canyon was produced to help convey the many reasons for protecting Chino Canyon. 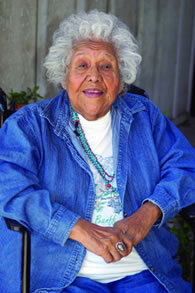 The film features interviews with residents, visitors, historians, tribal elders, scientists, conservationists and community leaders such as Katherine Siva Saubel (pictured), chairwoman of the Los Coyotes Band of Cahuilla Indians and internationally known and respected scholar of Cahuilla Indian history, literature, and culture. These heartfelt "voices" create a moving tribute to this spectacular natural treasure. Watch Voices of the Canyon here.